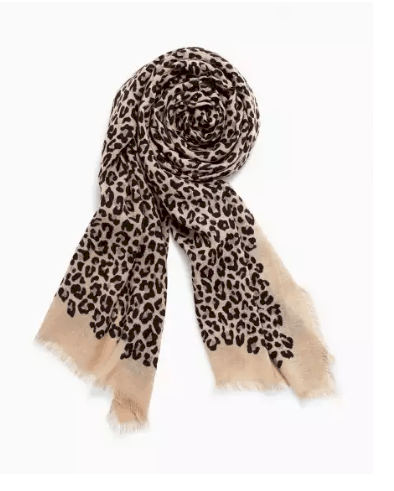 Two of my favorite items that Stella & Dot carry are their scarves and jewelry! 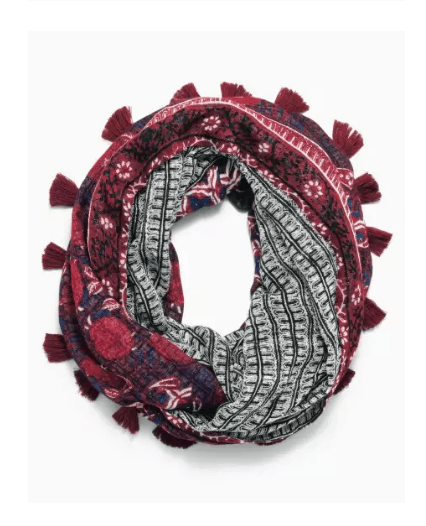 I have a bit of an addiction to scarves. It’s one of those things where no matter how many I have, I can always find more unlike anything I already own. 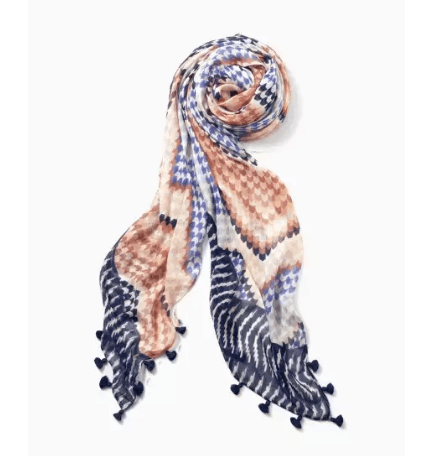 Stella and Dot is a great website to find unique patterns and styles that you won’t see anywhere else! 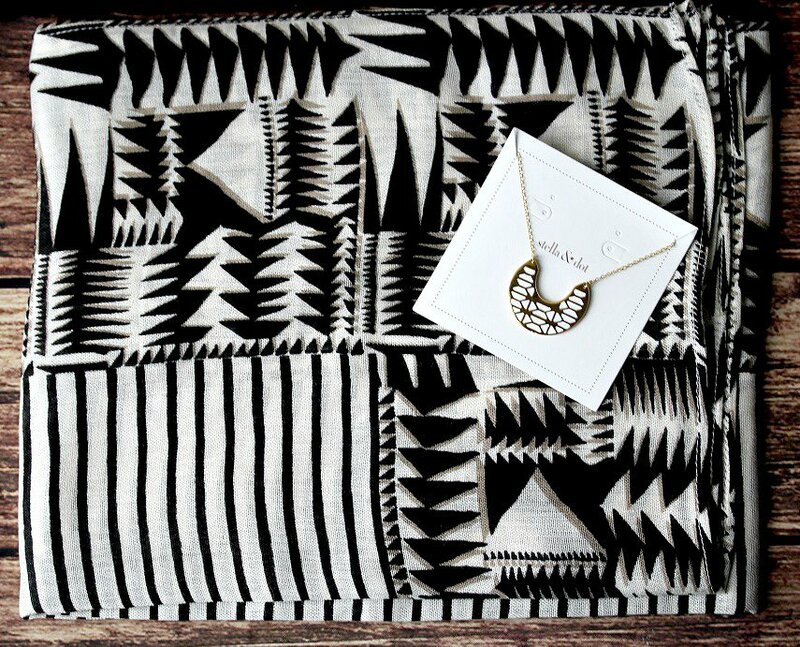 I recently ordered this Union Square Scarf with a black and cream tribal geo pattern! I love that it’s light and flowy. 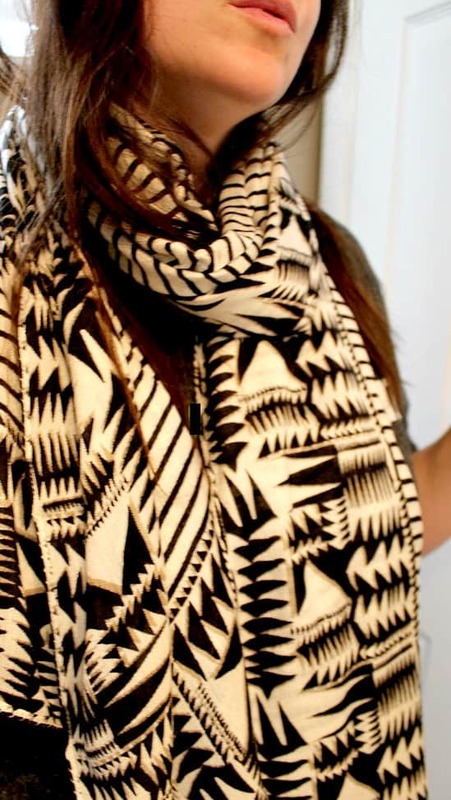 The black and cream colors make it easy to wear with almost anything! The quality is awesome and I can tell that this one is going to get a lot of use! 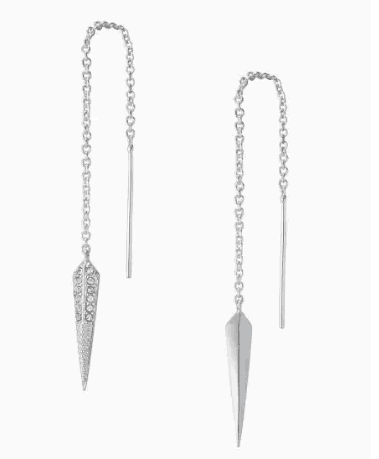 It does come with a little note to be careful wearing it with any jewelry that may snag it. 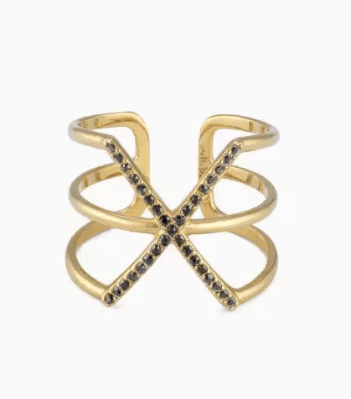 I could go on and on about all the amazing jewelry options at Stella & Dot! The bracelets are always so pretty and I especially love all the versatile necklaces that can be worn in 2-5 different ways! 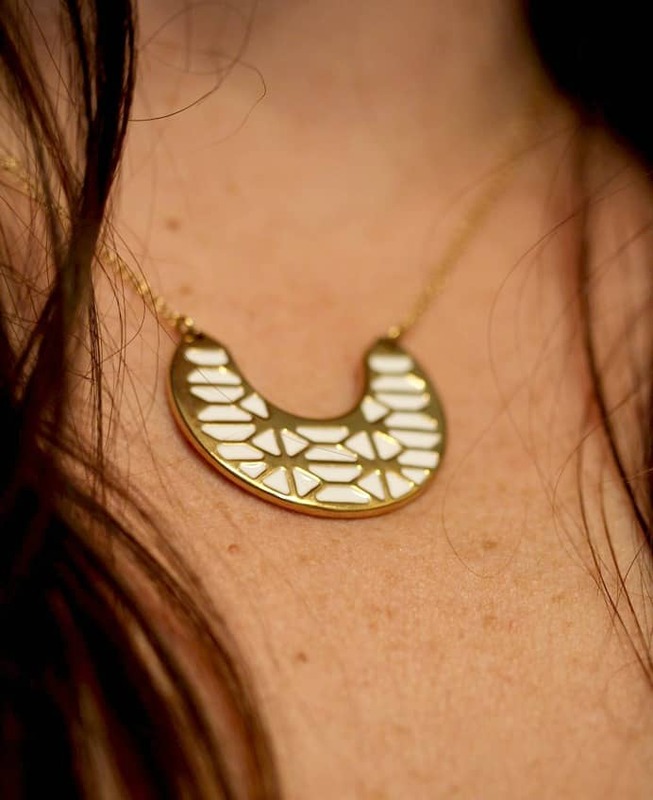 This Breezeblock Enamel Pendant necklace is one of many versatile necklaces available right now. It can be worn two ways. I chose this one because I love both colors for summer, but will wear the white side all year! 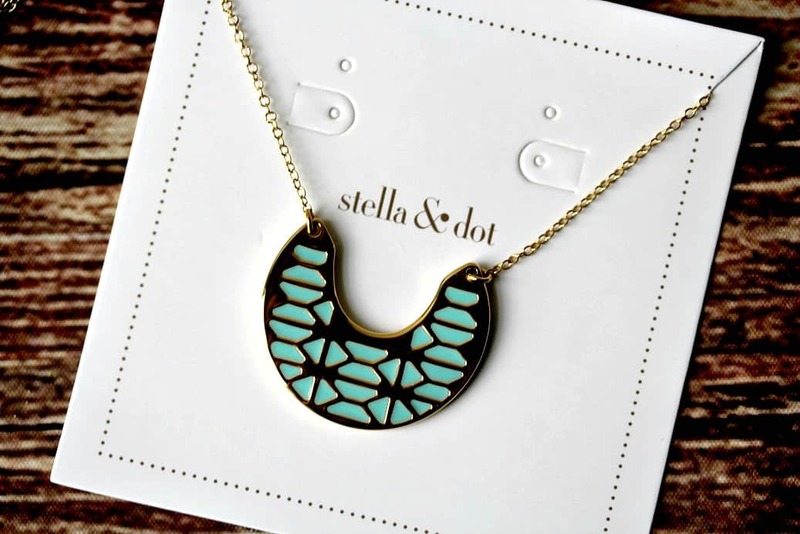 Stella & Dot accessories and jewelry make great Christmas gifts too! The holiday sale is going on now and you can also earn Dot Dollars that can be redeemed on a future purchase!